二姑糖水 ... does it rings a bell in you ? Or totally have no idea what it is. 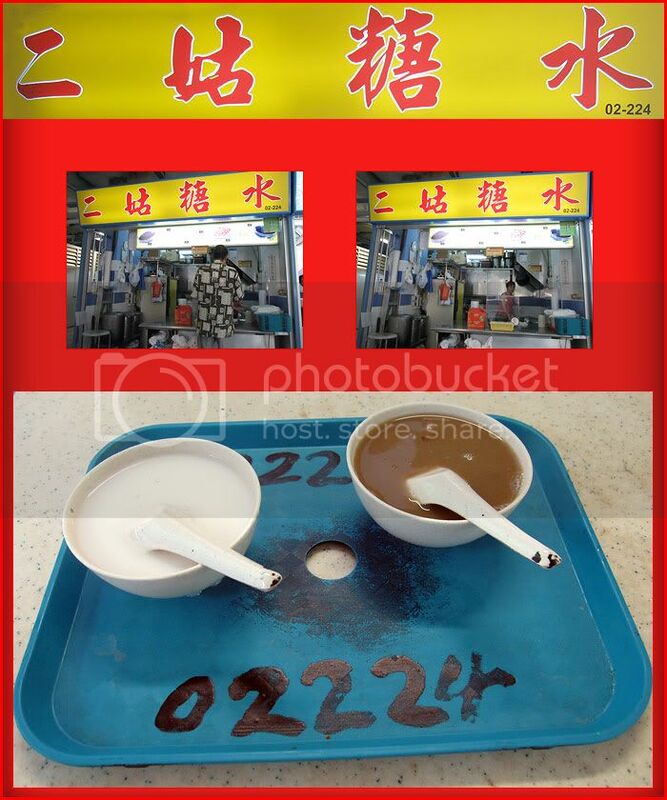 Those in the 70's 80's should know this dessert stall pretty well. It's pretty popular stall then ... due to the affordable price of its desserts. Chinese desserts ... especially almond paste is one of my favourite. I went in search of this stall when we were there for lunch ... hoping it is still in business. It was some 5-6 years ago when I last had a bowl of their almond paste. I always have a problem locating the stall as it's hidden at the far back. It did take us awhile going in rounds but we finally found it. Still the same old style of display ... with big pots of desserts at the back of the stall. And a few stainless steel ladle seated in a neat row ... one for each type of dessert. As usual, I had a bowl of almond paste while Simon choose to have a bowl of green beans soup. 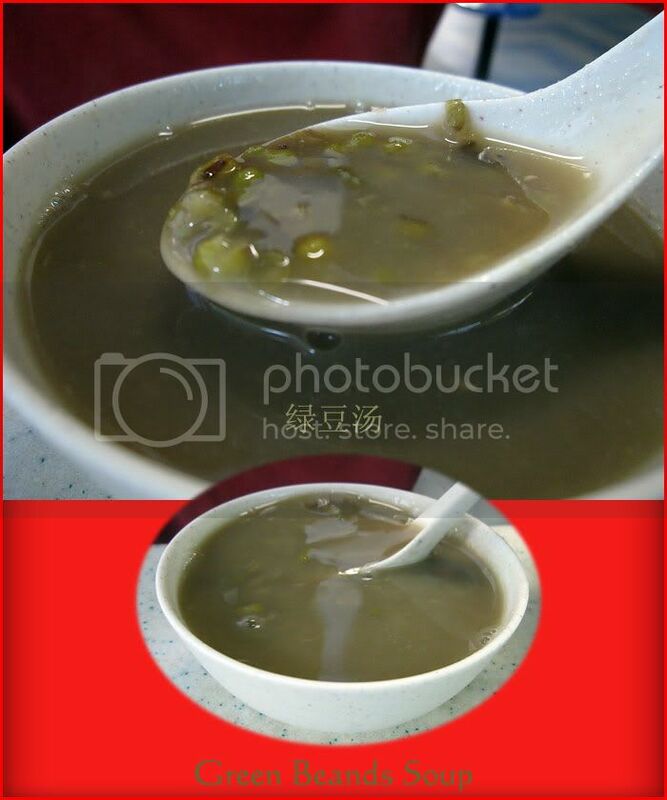 Both at $1.30 each now ... used to be 70cents a bowl if I did not remember wrongly. Nowadays ... the long Q's has disappeared. Has the standard of the dessert drop or are there better choices in the complex ? Take a sip of the almond paste ... I knew I won't be able to finish it. The almond paste was too watery, almond taste was light too. It was a total disappointment for me. It used to be very nice, creamy and smooth with strong almond fragrant to taste. The usual thing you can probably cook it yourself at home and taste the same. 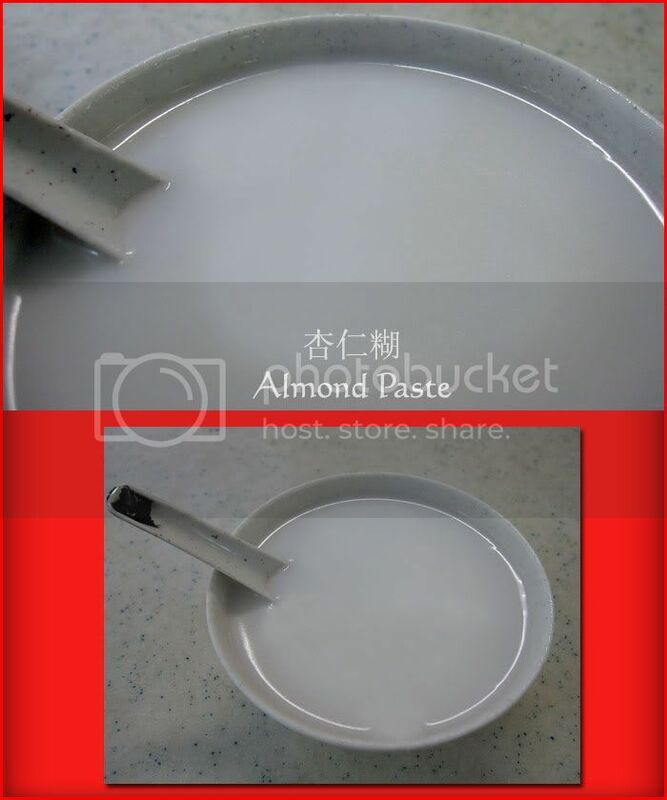 Well ... if you looking for the old time taste of "二姑糖水"
It's probably gone for good.